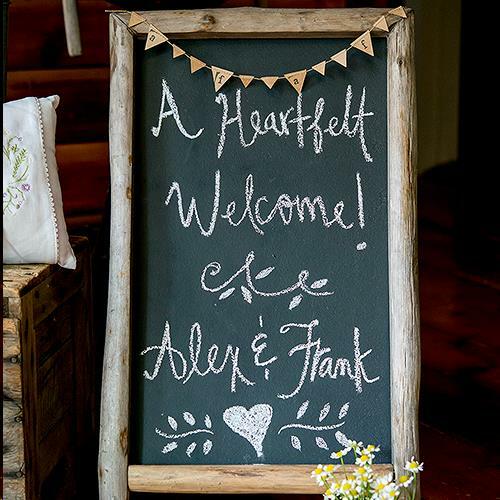 DIMENSIONS (LxWxH) 14 1/6" x 12 3/4" x 25 1/2"
This self-standing chalkboard sign is outlined in a rustic wood frame, making it an ideal focal feature for any woodland or rustic themed wedding. Handwrite a suitable message and place at the entrance to welcome your guests or write a farewell and thank you as they depart for home. 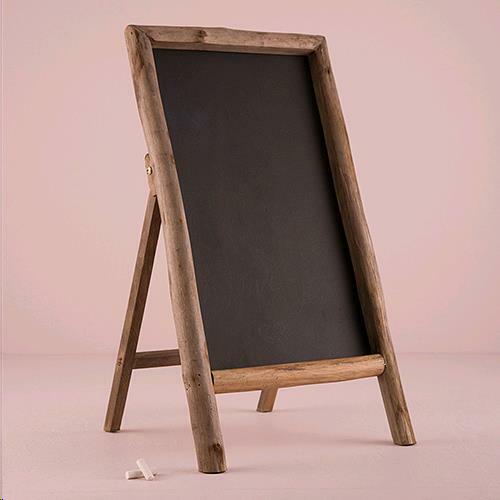 ** Please call us for any questions on our chalkboard w/ rustic frame rentals in Fairview Heights IL.